19" rack card with 2 channel VGA & stereo/digital audio Input. 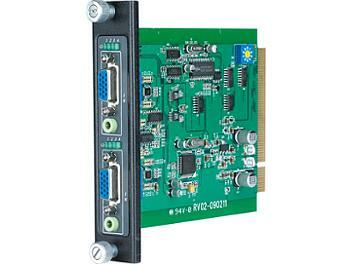 Maximum supports up to 4 channel VGA & stereo/digital audio input cards (RV02 x 2 pcs) in one RB01 rack mounting cabinet. 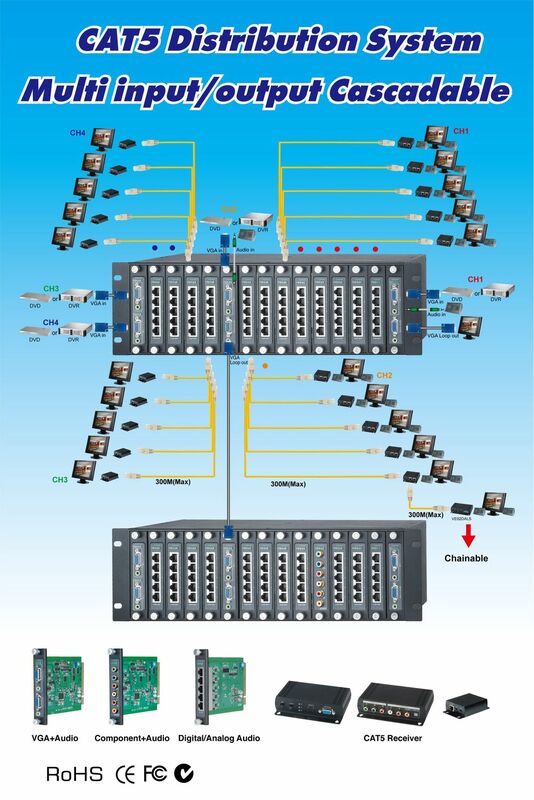 Each input could allow multi outputs via RT01 (5 Channel CAT5 output rack card). Used to work with RT01 CAT5 5 channel transmitter rack card for multi input/output distribution over CAT5 cable.